In just a few short weeks control of the United States Senate floor will pass from the Democrats to the Republicans. This single fact means the political pressure that typically accompanies a post-election “Lame Duck” congressional session will be atypically acute. There’s a lot to do and precious little time in which to do it, meaning members of both parties in both chambers will need to prioritize. The time for partisan gamesmanship is over; practical policymaking concerns need to take the wheel. In particular Congress needs to handle in a deliberative fashion those pending pieces of legislation that directly affect the nation’s national defense, its economic health, and the ability to create jobs and raise living standards that are set to expire at year’s end. There are many pieces of legislation that fit the bill in one category or more – and very few that apply to all. One is the federal Terrorism Risk Insurance Act, a law that passed with strong bipartisan support in the period after 9/11 and which is set to expire at year’s end. If TRIA is allows to lapse, it would make it nearly impossible for commercial brokers to continue to offer terrorism insurance, something that has become essential in the post-bin Laden economy. A small number of lawmakers don’t see it that way. They object to federal intervention in the insurance markets for this or any other reason. In some cases they may be right but in this one they are sadly misguided. It is the national government’s responsibility to keep America safe and that responsibility includes stopping terrorist attacks before they happen. But it also includes mitigating the risks to the nation as a whole from those very few committed on U.S. soil that unfortunately are to some degree successful. Having TRIA in place should provide investors and consumers, property developers and landlords, tenants in and owners of commercial real estates that a roadmap for finding our way out of the unthinkable does exist, however horrible it may be to imagine the need for it. Without TRIA there really is no way to adequately insure against the commercial risks potential future acts of terror pose. The data does not exist to allow for proper economic modelling. 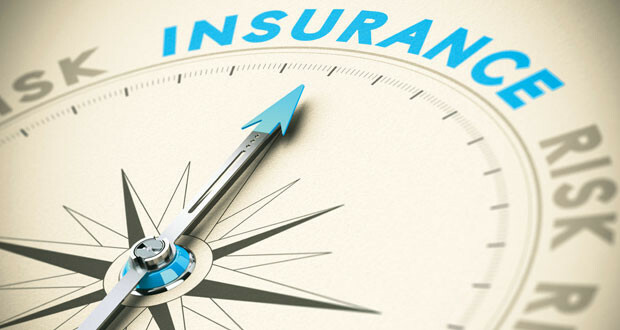 Without it there is simple no way to determine the pricing points accurately or to assess the risk factor as there are for other types of commonly-held insurance like life, auto, and health. We have to rely, unfortunately, on recent experience. And what does recent experience tell us? An attack that takes a matter of moments to commit can, if it is on a large scale, cause tens of billions of dollars in damage. Lives are lost. Real property is destroyed. Businesses are forces to close. People who survive are nonetheless disabled and require long term care or rehabilitative services. Regrettably we know now that the price tag for the unthinkable is real and has to be considered. As industry experts have said, without some kind of system in place to safeguard against risk, it will be difficult for commercial construction projects and other large scale endeavors to obtain the financing they need from lenders. This would have a direct and potential devastating impact on a crucial sector of the U.S. economy that is only now beginning to recover from the long recession. The Senate passed a long-term re-authorization of the program in July but the House has yet to act. Some suggest the way forward involves a short-term extension of the existing program but that would only lead to more confusion. The proper assessment of risk is not a “stop and go: proposition; certainty is a must. If the Congress cannot complete work on a new bill by December 31 then the only course of action is the approval of a long-term extension of the existing program. America cannot afford to be without a terrorism insurance program. The economic costs are too high to go without one that is stable and, for the commercial sector, reliable. Every sector of the U.S. economy is vulnerable to a large scale attack like the one we all experienced on 9/11. Congress either needs to get it right, to produce a bill that includes the reasonable reforms those like House Financial Services Committee Chairman Jeb Hensarling, R-Texas, have called for before the deadline or re-authorize the existing program. A short term measure simple will not do. Peter Roff is a senior fellow at Frontiers of Freedom, an organization that promotes economic security and a strong national defense who appears regularly on the One America News Network.